Beautiful little earrings from Mexico. 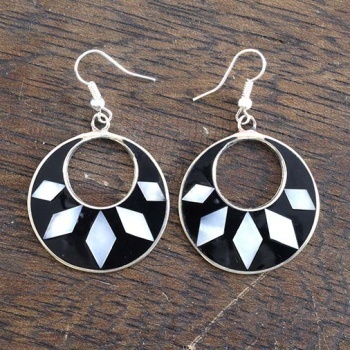 These eye catching hoop earrings are made with segments of abalone shell. 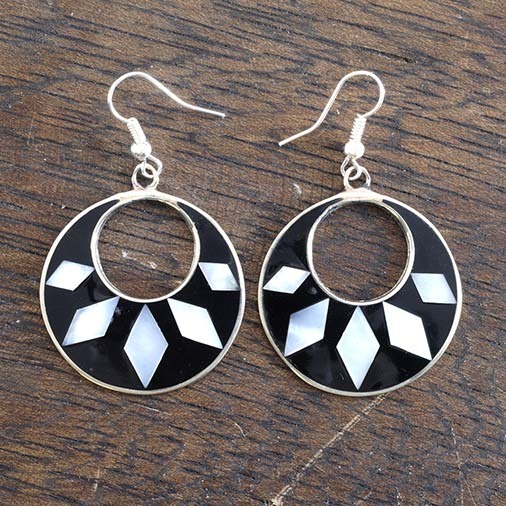 Silver plated fixings with Alpaca metal alloy earrings.